Bella Hadid looks radiant in white cutout dress that she accessorized with a Gucci belt. You might think that models always wear expensive clothes and accessories, think again. Bella's hoop earrings are surprisingly affordable. 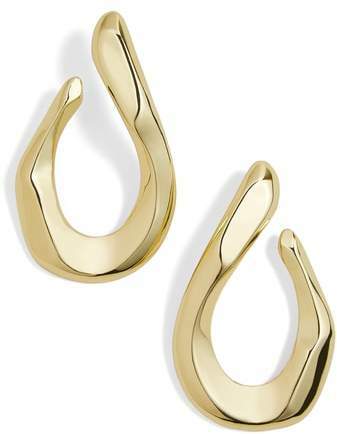 BaubleBar "Avani" hammered twisted hoop earrings, $34. 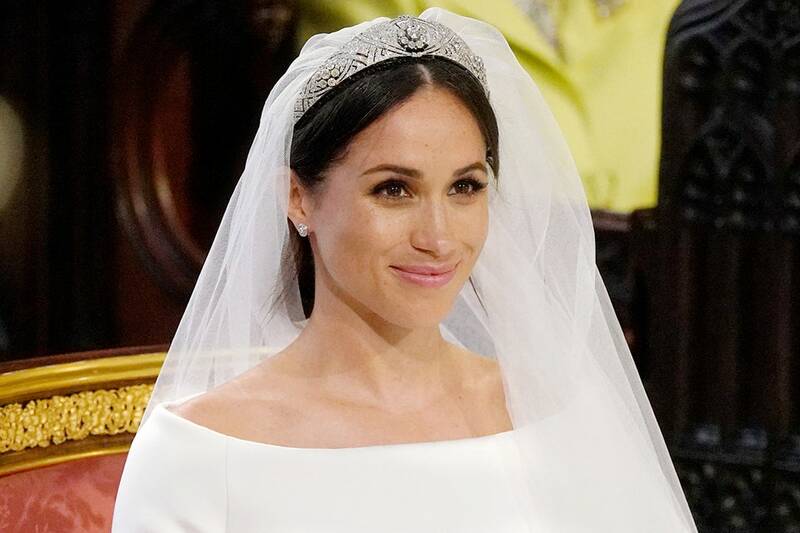 To keep Meghan Markle's 16-foot veil in place, Queen Elizabeth II loaned her the Queen Mary diamond bandeau tiara. The tiara was made in 1932 with a center brooch that dates to 1893. It was originally owned by Queen Mary, hence the name. The center brooch was given to then-Princess Mary by the County of Lincoln for her wedding to the Prince George, Duke of York. The bandeau was later added by The Queen to accommodate the brooch. The tiara was bequeathed to Queen Elizabeth II in 1953. According to royal tradition, only married women are allowed to wear tiaras and they are only allowed to be worn during special state occasions. 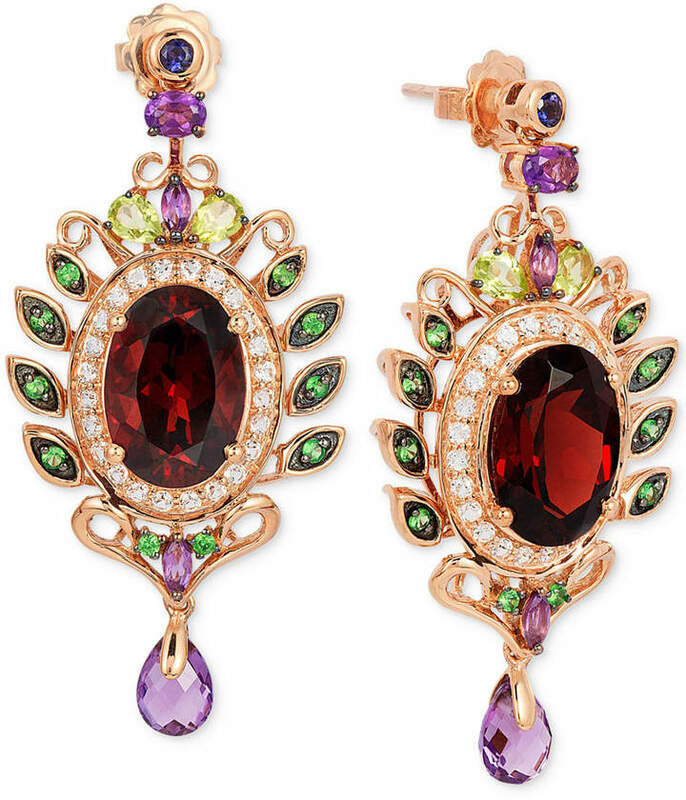 LeVian earrings is 14k gold with amethyst, garnet, peridot, tsavorite, topaz and iorite, $5,600 $2,267. Take advantage of jewelry sales every now and then because you can wear them regardless of the season or the occasion. Your accessories can make or break an outfit so it is necessary to pick something that you can wear with almost anything inside your closet. Take a look at some of the jewelry on sale at Macy's.